GOTAFE is the largest post-compulsory educational provider in North East Victoria, Australia. GOTAFE delivers vocational education and training to more than 15,000 students annually. Education and training is delivered to the business sector, industry, community, local, state and national governments and to the non-profit sector. Which CSPA assessments does GOTAFE currently use? GOTAFE currently uses the Core Skill Assessments of Reading and Numeracy on the Core Skills Profile for Adults (CSPA). We also assess the core skill of writing manually with our own assessment that is completed at the end of each CSPA test. The reasons for assessing writing offline is to complement the overall process, as well as establishing a visual baseline with some of the focus and performance features of the ACSF. In most circumstances, with the digital aids available, learners’ writing improves. Why did GOTAFE decide to use CSPA? used an external pre-training assessment for some departments (such as Nursing). As an institute, GOTAFE has been increasingly focusing on LLN and the learner. GOTAFE then started to look closely at pre-training assessment and concentrated on the following questions. Why do we pre-train assess? What constitutes a good assessment? What do we do with the evidence and outcomes? After researching what was available, GOTAFE decided on CSPA. GOTAFE realised it had the potential to strengthen quality outcomes within GOTAFE and provide individual focus on students. It was realised that CSPA could supply consistent results for learners and quantitative data for the Institute. 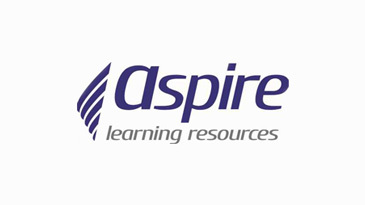 This was evident given the quality process of trialling performed by ACER and the fact that the assessment was written specifically against the Australian Core Skills Framework (ACSF). The adaptive nature of the assessment meant that it would suit nearly every learner, regardless of their current capacity. It was also in accord with the new National Foundation Skills Framework which was introduced in response to industry demand for better employability skills regarding reading and numeracy. GOTAFE took part in the trials for CSPA, which gave an understanding that it is an indicative assessment that analyses and provides results that show a ‘snapshot’ of a learner with ACSF indicators and the benchmark that industry and government have embraced nationally. The individual reports that CSPA produces allow for an evaluation of learners’ strengths and identify gaps required for each core skill. It was decided that CSPA would work in harmony with the quality policy that GOTAFE introduced which requires all staff to complete the TAELLN401A – Address Adult Language and Literacy Skills unit. As an ‘awareness’ unit, all staff had been introduced to an overview of the ACSF and now have perception to what the indicators and levels represent. Consequently, receiving results from CSPA is meaningful for facilitators. When did GOTAFE start using CSPA? CSPA was slowly introduced in 2013. In 2014 GOTAFE launched the pre-training assessment model with CSPA as the primary tool and 2015 saw a greatly improved model that ironed out many of the challenges faced. Testing started for the 2016 intake as early as December 2015. What were some of the challenges faced when introducing CSPA into your organisation? The introduction of CSPA was accompanied by a policy and procedure for the new process, so good communication was imperative. Also present was the challenge of communicating the purpose of this implementation, which was to ensure a move to an effective and high quality pre-training assessment. As this involved a cultural shift, GOTAFE needed to have transparent preparedness in place. This required a great deal of research internally. After trialling CSPA across the Institute, each of the twenty-two departments were contacted to ascertain satisfaction and perceived value of the tool. A tailored approach was then designed to the processes of each department using CSPA to cater for their cohort and delivery model. This was a huge undertaking but ultimately successful. GOTAFE faced issues with IT, room bookings, staffing, booking sessions and a myriad of all the trials that many education providers face when introducing change. These issues were not caused by CSPA but by the introduction of the pre-training process as mandatory before enrolment. How did you implement CSPA at GOTAFE? GOTAFE decided on a central area of responsibility for pre-training assessment with CSPA utilising the staff that have been internally and professionally developed by GOTAFE in Adult Language, Literacy and Numeracy, again facilitating a meaningful process. It was felt that a centrally consistent approach was easier for evaluation and that it would provide authentic evaluation of the effectiveness of pre-training assessment and support strategies provided to the student. There was a natural fit within the skills and services provided by the Learning Skills Unit (LSU) and system integration required an understanding of the larger objectives. LSU had staff in place already proficient in their knowledge of the ACSF, as well as already being committed to Literacy and Numeracy. Implementation was handled as a project with a scope, with the specifics of timing and responsibilities outlined for each task. The ‘CSPA Team’ was formed within the LSU and grew from there. The actual implementation was much easier due to the research and work that took place internally prior to this point. GOTAFE and the LSU had been actively promoting a shift in culture regarding LLN and this was an enabling factor. The LSU collected and currently hold updated data on each department for each intake year; e.g. expected student numbers, desired testing time, trainers, campuses course start dates, etc. The information aids with testing session planning. Each department books a session through the LSU, who then supply the staff member and conduct the session. If the learner is remotely located or at a workplace, the LSU works with each department to enable access to the test and ensure that the learner receives the proper introduction and overview. Each department is responsible for contacting and working with the LSU to ensure their students are pre-training assessed. How has CSPA made an impact? By far the best impact has been the embracing of the pre-training assessment process as trainers have realised how accurate the results are. Recently, when a trainer was trying to arrange a session on a specific date that was already booked, they said ‘But I need those results! I need to know my students!’ This statement was a wonderful affirmation that the results were being acted upon and that the process has become imperative. The results and reports supply evidence of support needed for an individual before they begin their learning journey with GOTAFE and this in turn has assisted trainers. It has provided data showing trends, allowing GOTAFE to target specific areas of need and devise support strategies in response. CSPA also provides good hands-on practice in preparation for employment selection, even if the learner chooses not to progress to study.